HURRY! 1ST COME 1ST BOOK! Another Unit SOLD by Htns again! ☄ 5min walk to Outram MRT & Future Cantonment MRT. ‼️REAL Discounts for Ur Buyers! PARC LIFE EC By FCL - NEWS FLASH!  *$5,000* UOL Shopping voucher For any unit purchased. Food Centre & NTUC Fairprice. It's offers a variety of 1, 2, 3, 4-bedroom and penthouse apartments with various layouts and sizes to best suit your lifestyle and needs. 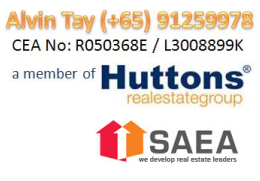 To date, Qingjian Realty has launched and developed a HDB-DBSS development – Natura Loft (2008) - and numerous private and executive condominium developments including Nin Residence (2010), RiverParc Residence (2011), Riversound Residence (2012), River Isles (2012), Waterbay (2012), Ecopolitan (2013), Bellewoods (2014), Bellewaters (2014), The Visionaire (2016), and iNz Residence (2017). ✊Must lock in units now before all choice units gone! Super High Floor at Only $1598 psf! [/vc_column_text][vc_empty_space height="2px"][vc_column_text]Seasons Avenue Hanoi, a Joint Development by CapitaLand & Hoang Tanh Investment Co. Ltd in Hanoi Vietnam, is located a Mo Lao, a new urbanized area of Ha Dong District, which is the South West gateway to Hanoi City. [/vc_column_text][vc_single_image image="6422" img_size="full" alignment="center"][vc_column_text]CapitaLand is one of Asia’s largest real estate companies. Headquartered and listed in Singapore, the company’s diversified real estate portfolio primarily includes integrated developments, shopping malls, serviced residences, offices and homes. The company also has one of the largest real estate fund management businesses with assets located in Asia. CapitaLand leverages its significant asset base, real estate domain knowledge, product design and development capabilities, active capital management strategies and extensive market network to develop real estate products and services.